Professional 3D Staircase Design Software. 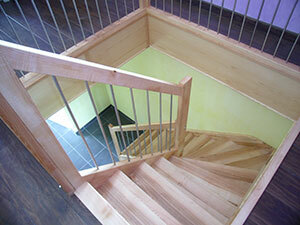 Design and build all stairs, no matter how complex! 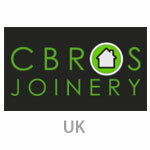 Automatically calculates, draws plans, elevations and 3D models, so you can get on with building your projects. No sales person to go through to find out what you’ll pay. 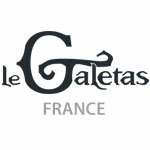 Everything is available on our website. 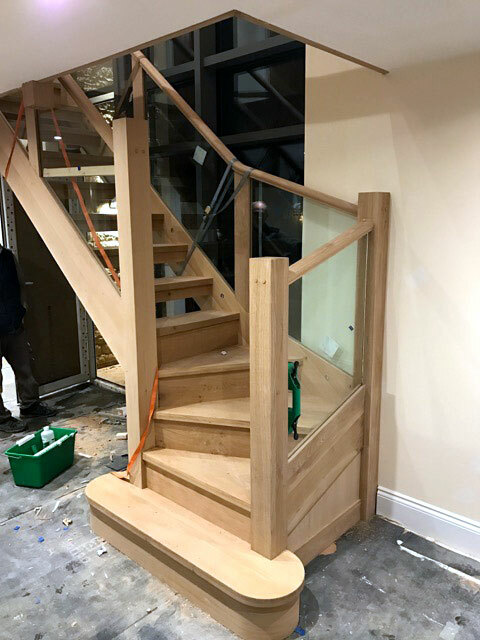 "StairDesigner has speeded things up no end and is very easy to manipulate...We can very quickly check the stair will fit the stairwell and check the headroom, and print out 1:1 templates to frame clamp in place. It’s like having another pair of hands in the workshop." 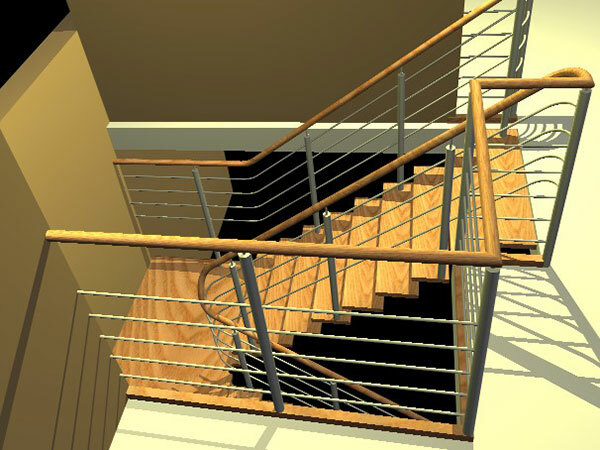 "StairDesigner has speeded things up no end and is very easy to manipulate. 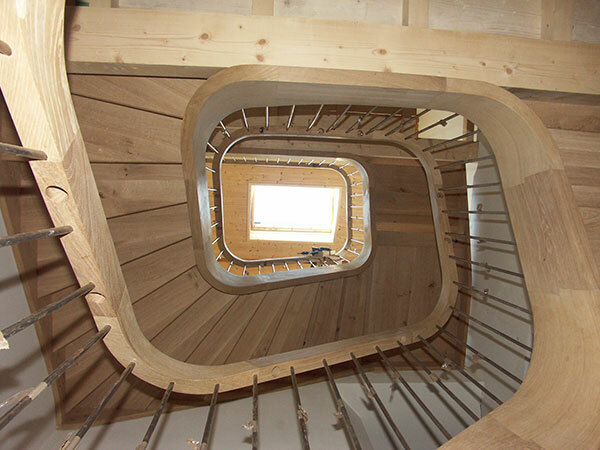 We really like how it lays out a stair, with a lovely flow to it and a well managed going. We can very quickly check the stair will fit the stairwell and check the headroom, and print out 1:1 templates to frame clamp in place. It’s like having another pair of hands in the workshop. Wood Designer was really helpful answering our questions too. We’re doing a stair right now with 5 more booked in." Get from site dimensions to workshop plans and CNC machining in minutes! 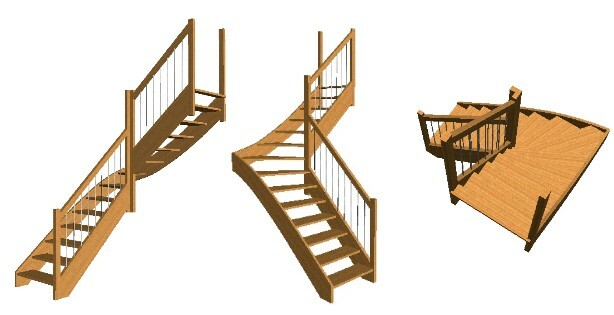 Build spiral stairs, straight flights, turning stairs with winders, curved stairs, central cut string stairs and more. 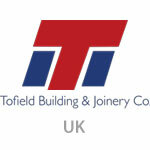 Perfect for wood, metal or stone stair building. 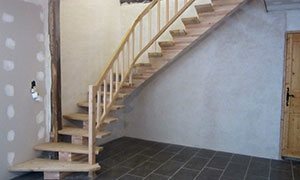 Special functions are included for drawing stair parts (wood or marble) covering concrete stairs. 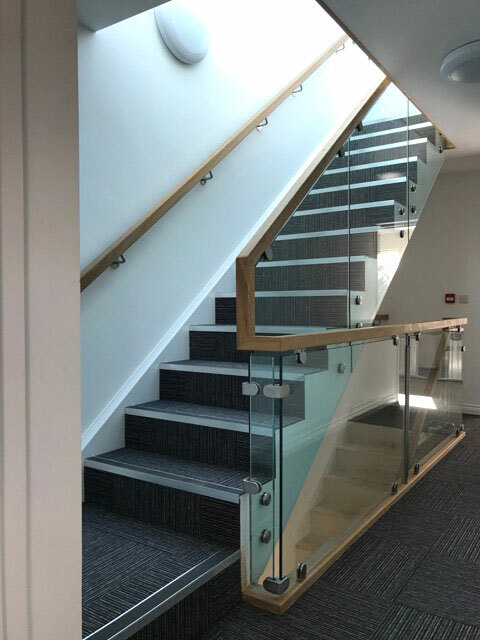 Our stair program enables you to quickly input stair dimensions and then automatically calculates the stairs to standard building regulations. StairDesigner uses special algorithms to calculate and optimise stringers and step shapes and positions. 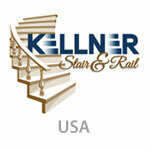 This makes turning stairs with winders easy and safe to do. 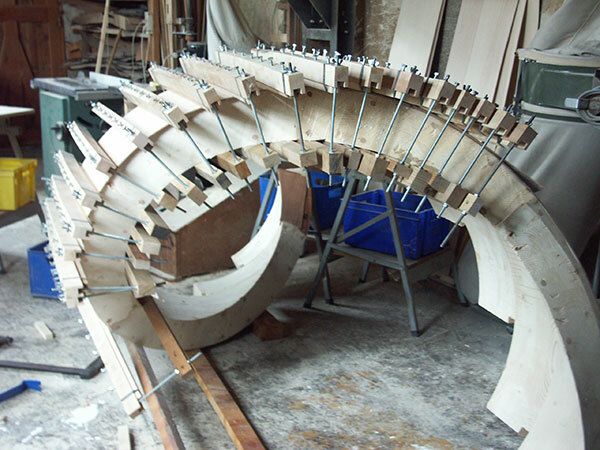 Build stairs with cut strings, boxed strings, straight, curved and wreathed. 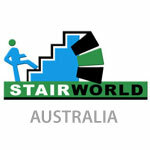 Automatically calculates all stair parts: strings, steps, risers, newel posts, spindles and hand rails. Print plans, parts and cutting lists in a workshop folder. 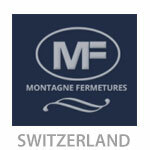 Print full size part templates as workshop mark ups for cutting and machining. 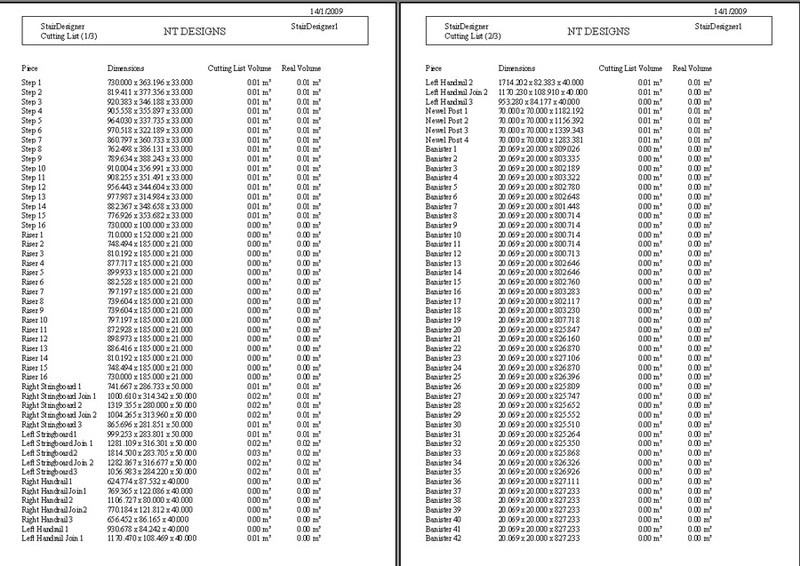 Export post processor files for CAD/CAM programs and CNC routers. 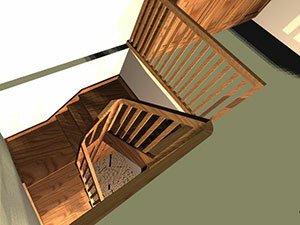 Builds real 3D models with wood textures and lighting and transparency. Easy to learn and even easier to use. 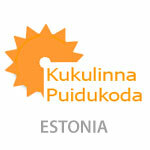 Cut out design and mark up errors and avoids unnecessary work. 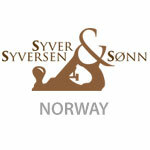 Want to check out even more features? 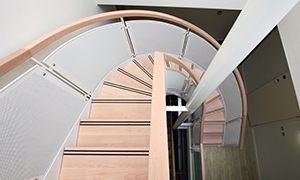 Calculates spiral and helicoidal stairs. Up to 7 flights per stair. Each flight can have its own length and width. Variable angles for first and last steps. Variable angles between each flight. Calculates step height, going and tread line. Verifies the 3 parameters H, G, and tread line, with min and max values. Quick wizard function optimises the number of steps and flight lengths. 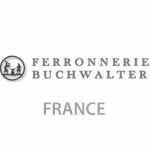 Automatic and optimised dividing of balusters for closed and cut strings. Automatic step balancing function gives optimized steps and stringers. Fully parametric balancing function works on groups, fix steps, works on any shape staircases. 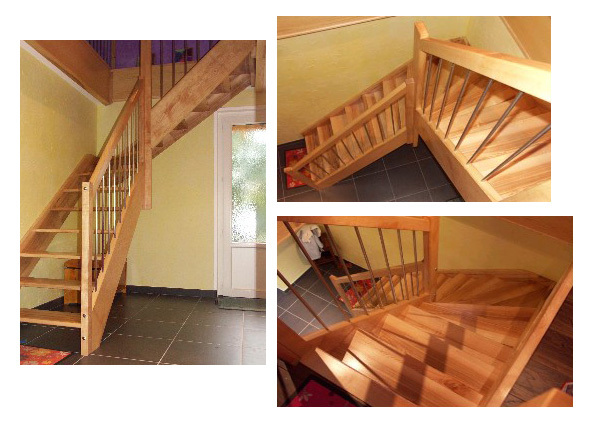 Draw any shaped stair with up to 7 flights at any angle, any turn, each with its own specifications. 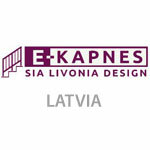 Draw S shaped stairs, L shaped stairs, U shaped stairs, any shaped stairs. Move and rotate any step individually. 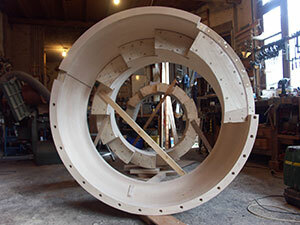 All assembly details are parametric, thickness, overlaps, recesses, etc. 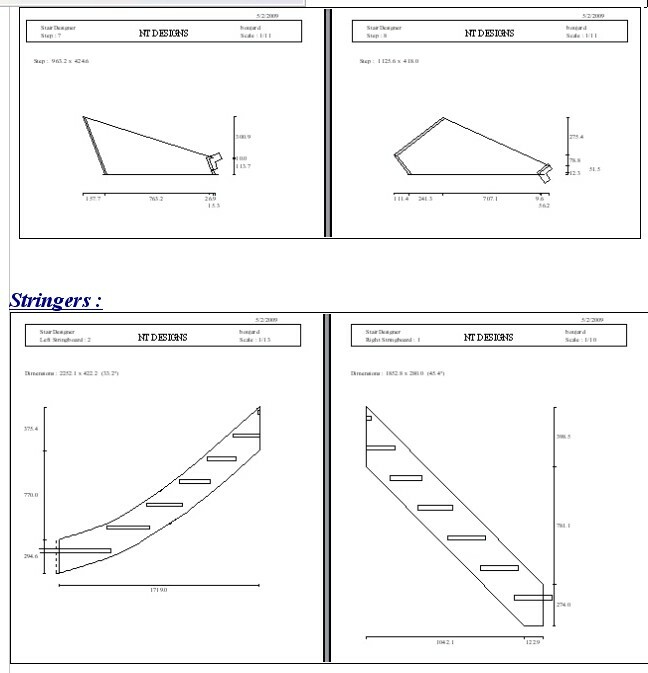 Fully parametric straight, curved, wreathed, closed or cut strings. 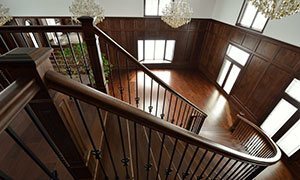 Parametric newel posts, handrails and balusters. 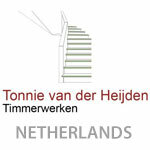 On site dimensions are input into StairDesigner. 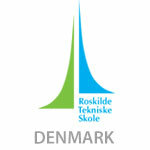 The program calculates the stairs, optimizes the number of steps, the step height and going and draws the plan. 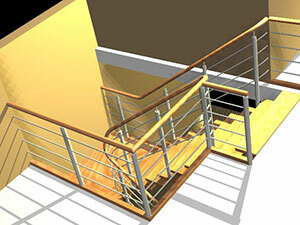 StairDesigner automatically builds the 3D model. 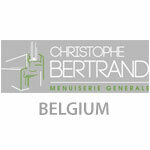 You can view the model in all its details to verify the design and export different views for commercial documentation. 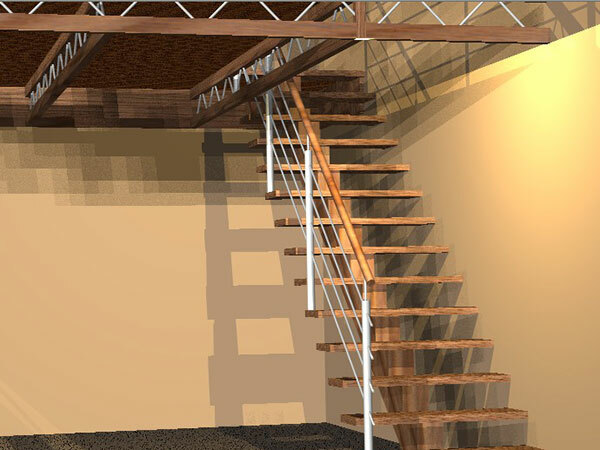 Once the plans are drawn up StairDesigner automatically creates a workshop folder with a plan drawing and separate drawing for each stair part. 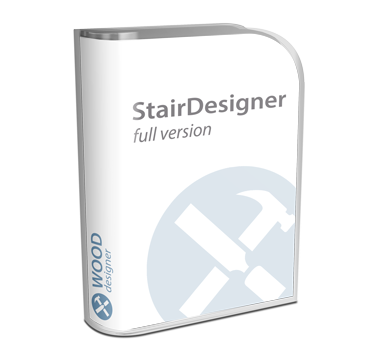 Our stair designer software also outputs the full size workshop templates, DXF files for CAD/CAM and CNC machining (and brand specific post processor files for Homag, Biesse, Felder, Vitap and Brema). 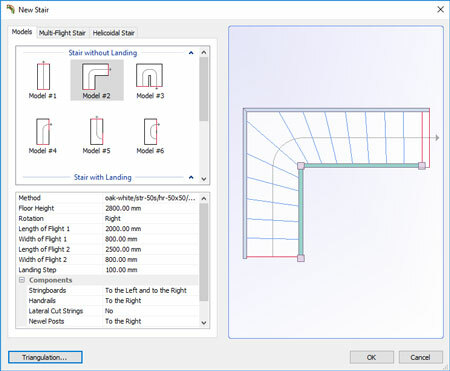 StairDesigner automatically prints out the cutting lists with dimensions of each part, total weight and price of the raw materials, and total volume of wood used. 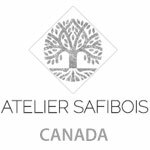 To see first hand how our staircase design software will benefit your business, please contact us for an on-line demonstration.